Russia will import less sugar if hopes for a near-record beet harvest come true, but analysts warn the crop may still be damaged if a thaw follows freezing weather. A decade ago the world’s top raw sugar importer, Russia has moved toward self-sufficiency insugar in recent years, but has maintained a significant need for raw sugar imports, largely Brazilian, to refiners in the Black Sea region. 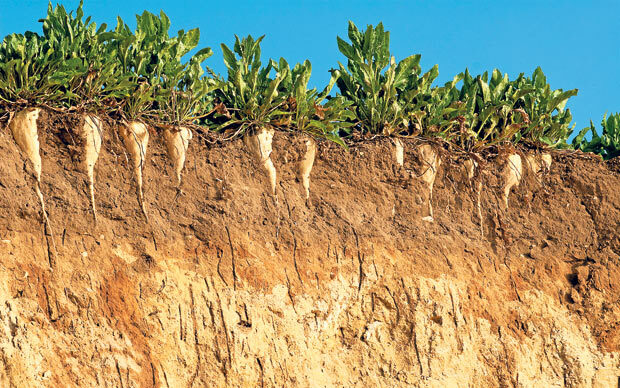 With the beet harvest around 70 percent complete, crop analysts see near-record beet sugaroutput in 2015. Analyst Green Pool forecast Russia’s beet sugar crop at 4.85 million tons this year, up from 4.5 million tons last year. That is not far from record Russian beet sugar production of 5.1 million tons in 2011/12. “High Russian sugar prices – at around $700 per ton during the beet planting window, and over $840 per ton during the summer, proved to be a powerful elixir in boosting Russian beetsugar production,” said Tom McNeill, director of Green Pool. According to Yevgeny Ivanov of Russian analyst IKAR, Russian beet sugar production had seen record months in August and September, with all-time high output expected in October. The surge in domestic output will cut Russia’s import requirement for raw sugar. “We are making more sugar, which in turn will hit imports in the first half of next year,” Ivanov said. McNeill said he expected Russia to import 450,000 tons of raw sugar in 2015/16, down from 631,000 tons in 2014/15. Another Western analyst forecast Russia’s raw sugar import requirement at around 500,000 tons in 2015/16, down from 700,000 tons in 2014/15. Analysts said that even though Russia was producing sugar rapidly, beets risked damage if left in fields and temperatures warmed. Sergey Gudoshnikov, a senior economist with the International Sugar Organization (ISO), who said Russia’s raw sugar imports could be halved in 2015/16, said weather risks would affect domestic production. “Beet when frozen does not lose sugar content and can still be processed without serious difficulties,” he said. This year unseasonably cold weather has come early to Russia, raising risks of beet losses. “Cumulatively, some damage is expected, although Russia has been expecting an excellent crop in 2015/16,” Green Pool said in its latest weekly report.